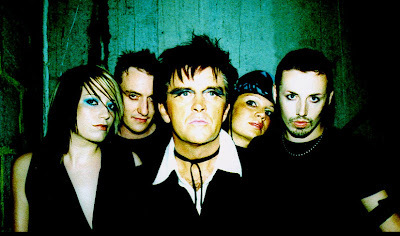 Steve Strange the vocalist of the band Visage has a new Visage. Most people remember him thanks the New Romantic anthem "Fade To Gray". Steve Strange performed this song two years ago with a new line up and now there are romours about a new song "Diary of a Madman". There is a clip for this song on their official website which will hopefully offer more info and content in the future.